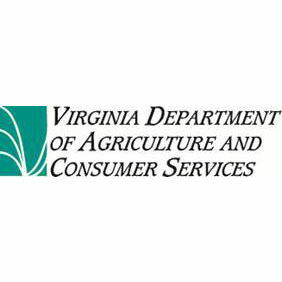 The Virginia Department of Agriculture and Consumer Services announced today the release of the November Crop Production report. The report, which comes from USDA’s National Agricultural Statistics Service (NASS), shows mixed results with some agricultural products forecasting higher than previously announced and some forecasting lower. The Richmond area saw the fifth wettest summer since 1930, which influenced crop yields. Results come from a survey of Virginia farmers earlier in the month. “Yield forecasts were mixed when compared with a month ago,” said Herman Ellison, Virginia state statistician. “Prospects for cotton decreased based on November 1 conditions, while soybeans increased and corn and peanuts were unchanged from the previous month. As of October 28, corn, peanut and cotton harvests progressed ahead of the normal pace while soybeans were lower than normal. Corn production in Virginia is forecast at 48.8 million bushels, unchanged from the October forecast and up 3 percent from the previous crop. Yield was estimated at 148 bushels per acre, unchanged from last month and up 8 bushels from the 2017 level. Acres for harvest as grain were estimated at 330,000 acres, down 10,000 acres from 2017. Soybean production for Virginia is forecast at 26 million bushels, up 2 percent from the October forecast and unchanged from 2017. Yield was estimated at 44 bushels per acre, up 1 bushel from last month and unchanged from a year ago. Acreage for harvest as beans was estimated at 590,000 acres, unchanged from the previous year. Virginia cotton production is projected to be 195,000 bales, down 5 percent from the October forecast but up 2 percent from last year. Cotton yields are forecast to average 965 pounds per acre, down 49 pounds from last month and down 145 pounds per acre from the previous year. Producers expect to harvest 97,000 acres, unchanged from the October forecast and up 14,000 acres from 2017. Peanut farmers in Virginia anticipate harvesting 98.4 million pounds for 2018, down 18 percent from last year. Acres expected to be harvested total 24,000 acres, down 3,000 from last year. Producers expect a yield of 4,100 pounds per acre, down 340 pounds from 2017. For more information about Virginia surveys and reports, call the NASS Virginia Field Office at 800. 772.0670 or visit www.nass.usda.gov/Statistics_by_State/Virginia.